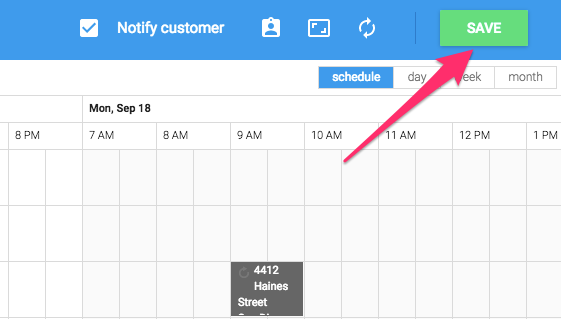 Dispatch and schedule quickly and painlessly, even if you've already created the job. Go to the job details page and click on the 'schedule' button or the current dispatched employee's name. This will bring you to the scheduling screen. Click the 'edit team' icon above the calendar. 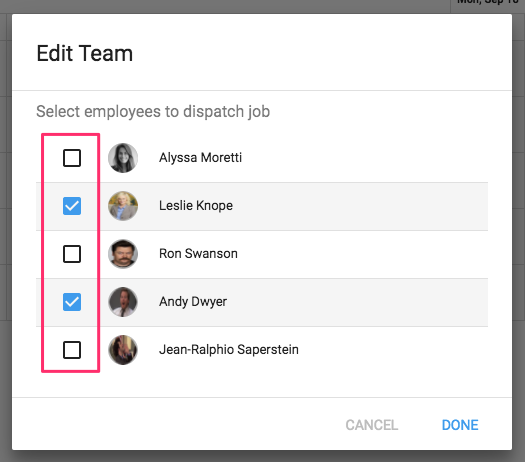 Here you can add, remove, or change the employees assigned to a job by clicking the check box next to their name. You know they are assigned to the job when a blue check mark appears in the box directly left of their name. Hit 'done' in the bottom right when the correct employees are chosen. Then hit the green 'save' button at the top right of the screen to update the job.